I packed so much extra stuff when I had my first baby. Most of the stuff I never even touch. I wanted to share the things I felt I needed when I will be at the hospital when I deliver my next baby. 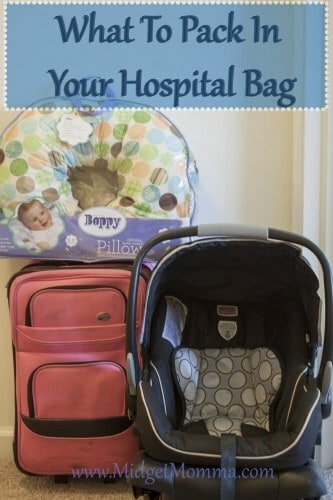 This list of What To Pack In You Hospital Bag when having a baby hopefully will help you from over packing like I did. I can not believe it is almost time for Baby D’s arrival! I only have ten days till my due date but I have been having contractions for the last week so I made sure to have my bags packed and ready! Make sure you also check out the list of Freebies for expecting Moms to make sure you are getting all the awesome freebies for you and your baby. Shoes- Flip flops for the shower was a must for me. I like to feel comfortable in a public shower. I also pack a comfortable pair of slippers. Something that I was able to leave by my side of the bed and slide on when I wanted to get up and walk around. Clothes- Comfort is the most important thing you need to think of when you are packing. I like a nice light weight robe I can through on when guest come to visit. If you are planning on nursing, nursing tops, bras and dresses can come in hand. You will also want a coming home outfit but keep in mind a lot of women leave the hospital looking five months pregnant. Nursing cover – With all the guest coming in and out this was one thing I wish I brought with my first. Toiletries- This is a list of things I packed. Soap, tooth brush, tooth paste, hair ties, deodorant, make-up, hair brush and razor. Pillow- I recommend bring your own pillow for yourself and you husband. Just make sure you use a colored pillow case so people will know its your pillow not the hospitals pillow. Nursing pillow- I have read that some people don’t like to bring their nursing pillows but this is one thing I love! It just makes it so easy to have the baby very close to you. It was also nice when we had children who came to visit who wanted to hold the baby to have a safe way to hold the baby. Camera- This is one of my most important items! You want to be able to capture every special moment. Just make sure you have it all set and ready to go. Chargers- Any electronics you bring you will need to be able to charge like your cell phones, camera, ipads. Coming home outfit for baby- You will want to make sure its something very soft and easy to slip on. Baby book- When they are taking the foot prints you will have chance to have them stamp them into the babies book. Blankets- Its nice to have the comfort of home instead of just the hospital sheets. 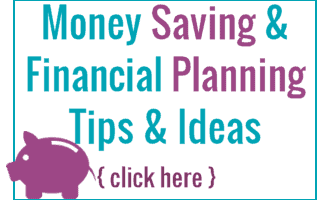 You will also need a baby blanket to drape over the baby in his car seat. Car Seat – This one is a no brainer you cant take the baby home without one.